Volunteering can benefit you in many ways. Some rewards are personal. You will earn respect from everyone who learns you are a volunteer. You will gain immense pride from your accomplishments and the knowledge and skills you acquire from your training. Some of the strongest social ties you will ever make will be with your brother and sister volunteers. And, of course, there is little that can compare to the satisfaction that comes from doing an important job well while contributing to the security and welfare of your community. There are material rewards as well. 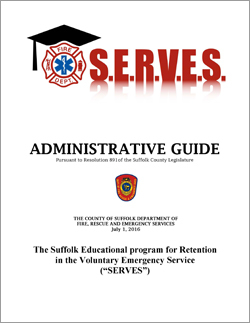 The volunteer services are valued at every level of society, and there are a variety of incentives available from the federal, state, and county governments, as well as your local fire and EMS companies. For details on the benefits available in your community, speak with the recruitment coordinator at your local fire department or EMS unit.